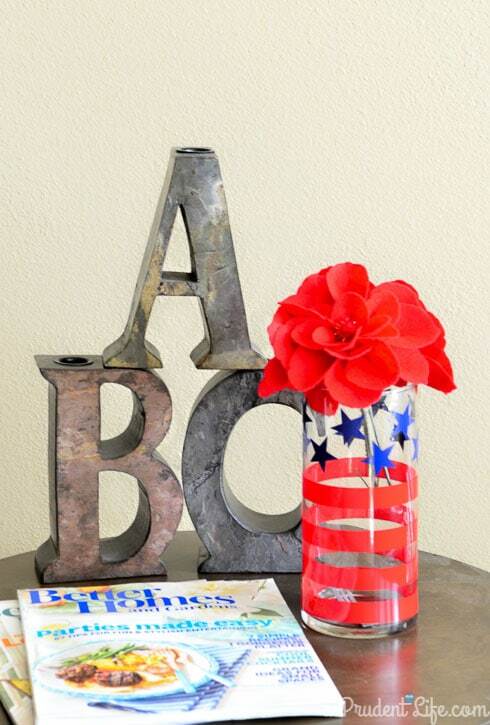 You are here: Home / DIY & Crafts / Easy Patriotic Decor & A Vinyl Giveaway! 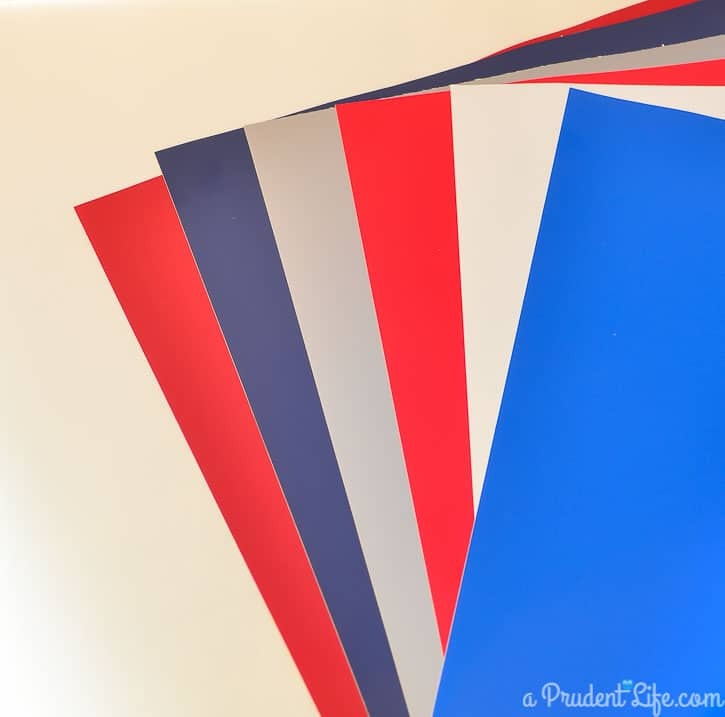 Easy Patriotic Decor & A Vinyl Giveaway! I am over the moon excited to be a part of the brand new Expressions Vinyl Ambassador program. * As I mentioned in my June Goals post, each month a few other bloggers and I will all receive the same box of vinyl. We can make anything we want with it! Fun right!?! 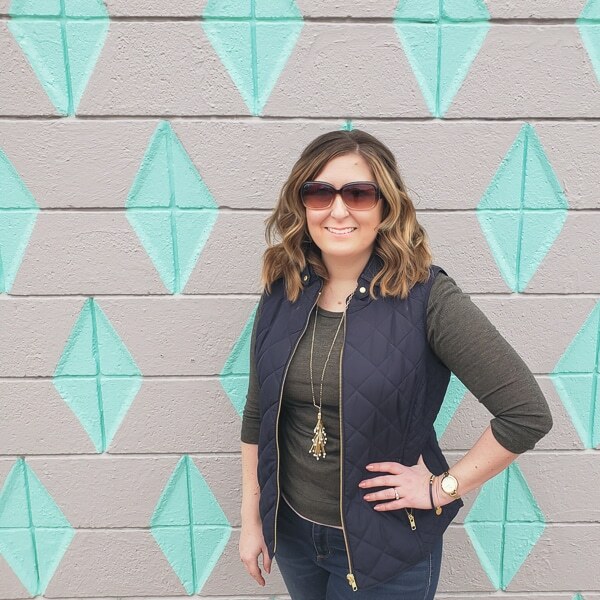 Make sure you check out the posts by Ashley from Simply Designing & McKenzie from Girl Loves Glam as well. Expressions Vinyl started month one off with a bang! We each received their Independence Day pack that comes with two reds, two blues, white, and silver. Just think of all the things you could do with these colors! 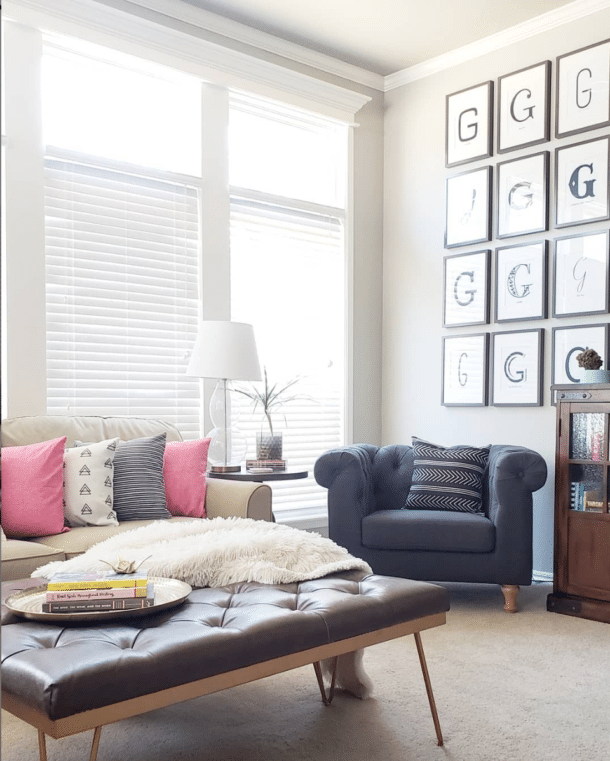 It wasn’t until I starting thinking about project ideas that I realized I don’t have any red, white, & blue decor. I guess I always decorate for spring and then skip right to fall! 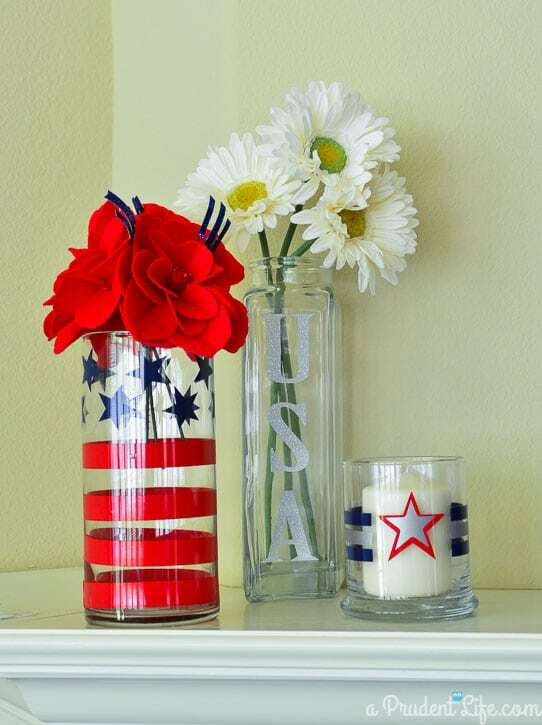 Since my current 4th of July decor is non-existent, I had two goals with this project. Make more than one thing, and make things that had multiple uses! The round vases were both from Dollar Tree, and I found the tall flat sided one at a Goodwill store for $0.89! I started with the taller round vase because it was the first one I designed in my head. I wanted red stripes around the bottom and blue stars up top. 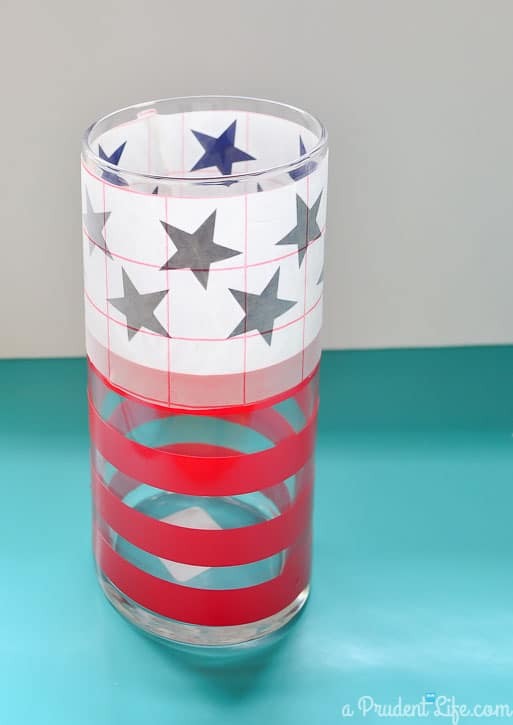 You don’t even have to have a vinyl cutter to complete this project – a pair of scissors or a craft knife would also work well! I used my Silhouette Portrait since I don’t cut in straight lines very well on my own. I measured around the outside of my vase and then made rectangles in Silhouette Studio to become my stripes. I drew the stars in the software, but I’m sure there are stars available for download as well. The stripes were tricky and I should have used transfer paper for them to keep my lines straight. We’ll just call my slightly wonky bottom lines “character”. I wised up for the stars and applied them all at once. Isn’t it cute as a vase? 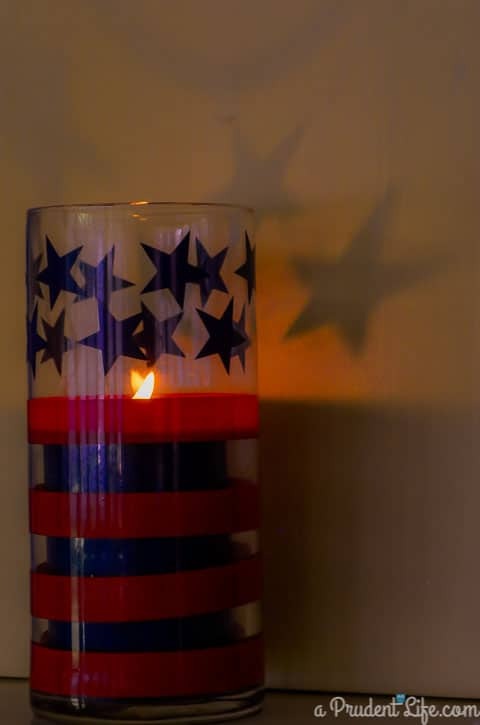 It also works as a candle holder/lantern. 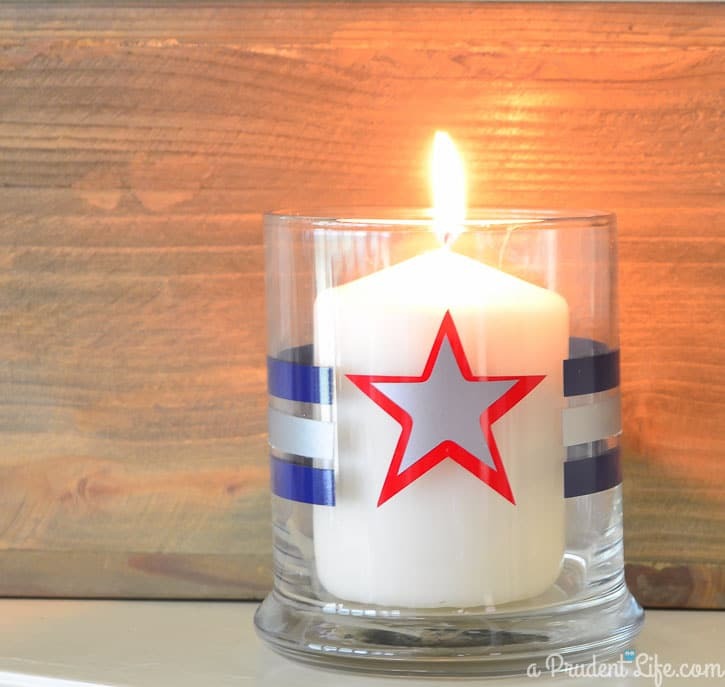 Using a 3″ candle allows the stars to reflect onto to the wall! Vase 2 was crazy easy. I used glitter vinyl in ultra silver to cut out USA and applied it vertically. Easy peasy and it’s still a fun patriotic look. You could use the silver that comes in the Independence Day pack for this, but I went for a separate sheet of ultra silver to really make the letters pop. Vase 3 is my favorite! My husband calls it the Top Gun version. I started with a red star in the center, then used the inside offset button in the Silhouette software to make a smaller version in silver. It’s the first time I had used the offset button to layer vinyl and I was impressed with how easy it was. The star alone wasn’t quite enough, even after it was layered. I decided to add some coordinating stripes in blue and silver. That did the trick! 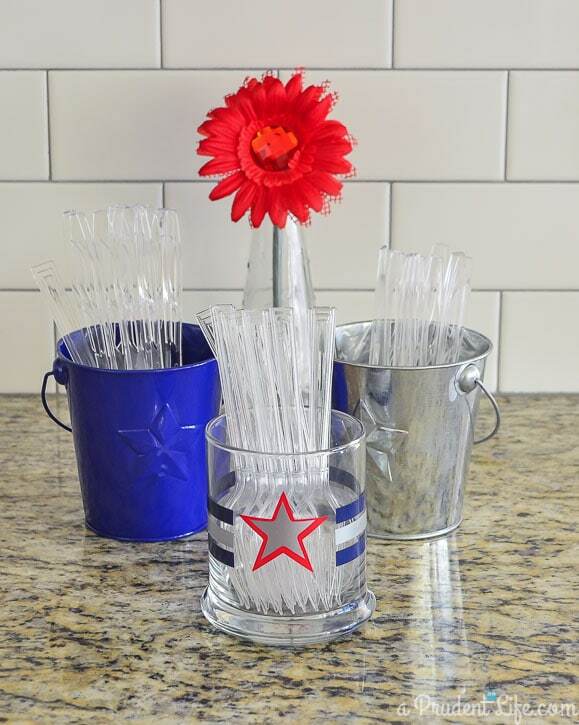 or even a cutlery holder for a party! 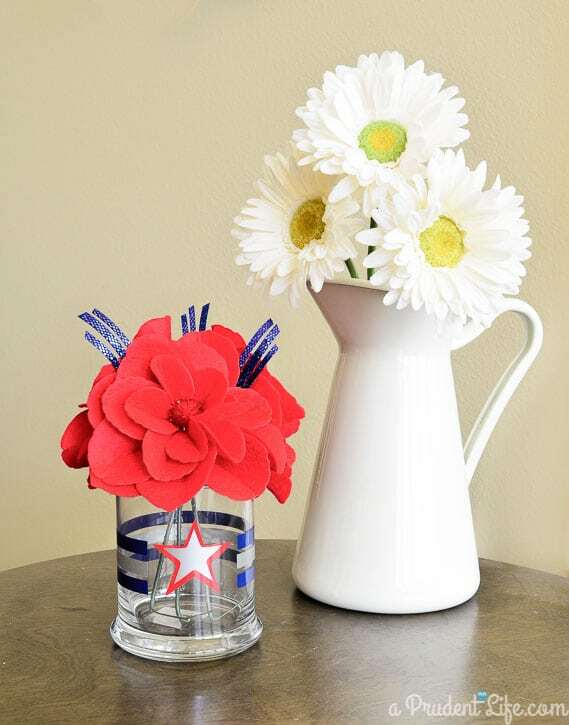 Can you believe how cute these super cheap vases became with only a little vinyl? *I receive compensation as part of the ambassador program, however I was free to create whatever I wanted with the vinyl I received and I LOVE the service and quality Expressions Vinyl provides. My full disclosure policy is available here. Simply fabulous Melissa!! If I had to pick a favorite, it would be the subtle sparkly silver USA one. Hi Melissa. 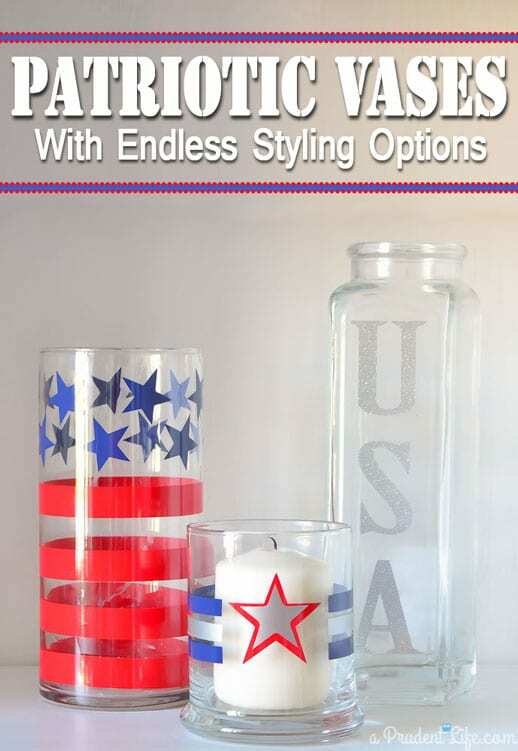 I love all three of these but my favorite is the stars and stripes vase. I have yet to use vinyl other than HTV but it’s on my to make list. Thank you Kelly! Vinyl comes in so many options now, so I can’t STOP using it around the house. I love HTV too! You made some classy red, white and blue items there. I love the short vase/ container. candle holder. I am a dual or triple purpose girl all the way. Thanks for the opportunity to win the vinyl products. My imagination is working over time already. I have never used this company yet so it would be a great chance to tryout Expression Vinyl. Thanks for nice comment Karen!!! Expressions Vinyl is an amazing company to order from. They ship really quickly, have awesome customer service, and have a great selection. And I said all of those things BEFORE I was an ambassador too:) Good luck in the giveaway! So glad I found your blog through EV. 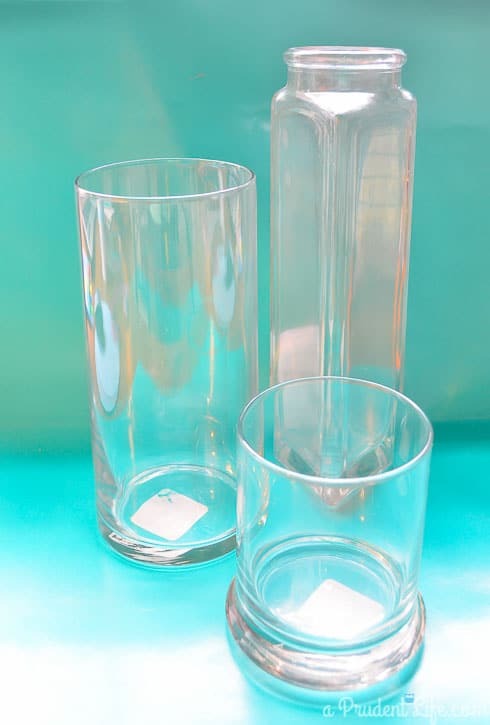 These vases are so simple and super cute! Thanks so much for clicking over Laurie, I’m glad you like them!!! They really were simple & quick to make. These are SO stinking cute! Love how they turned out! !